Photography, sport climbing, motocross, horseback riding, swimming, traveling, amongst some others. My parents (both Olympic athletes in shooting), Anne-Caroline Chausson and every passionate sports woman! Diana Marggraff was born in Quito-Ecuador on March the 19th 1984. Her father Paul Marggraff from Switzerland and her mother Ines Campos from Ecuador were the foundation of her sport career. With both her parents being Olympians the dream for Diana to be part of the Olympic Games is very present. She started very early, at the age of 6, with her bike. BMX was the first cycling modality she had international results with. Three times 5th place at World Championships, Panamerican and Latinamerican gold medals. 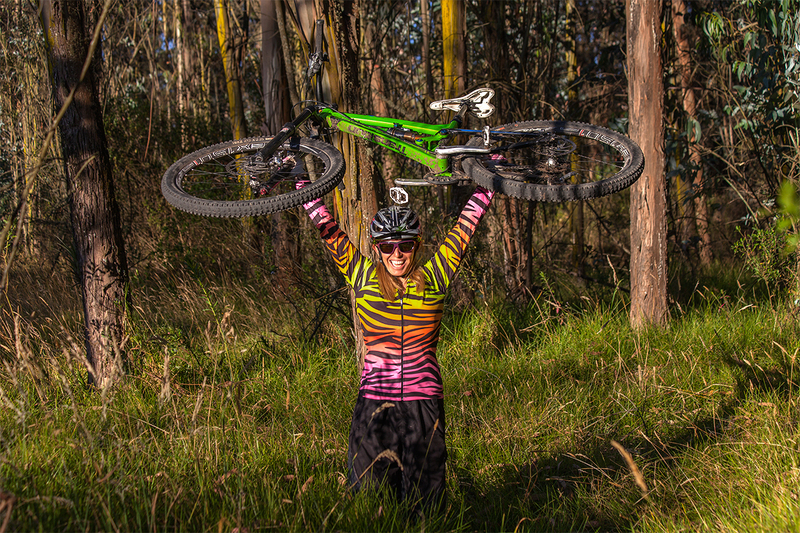 At the age of 13 she entered the world of mountain biking (downhill). Marggraff started racing around the world. 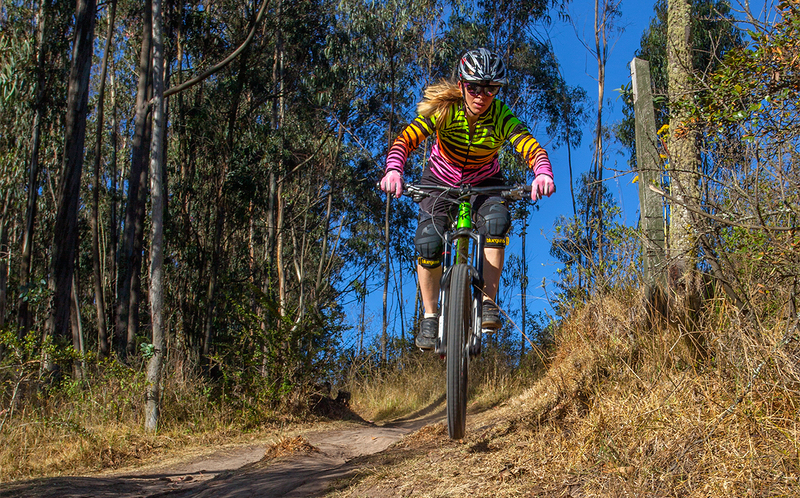 She is the first Latin female cyclist to achieve a medal at World Championships (Kaprun 2002 – junior). Her first team was Nicolai – Gates, the German bike brand (year 2000). At the year 2002 she was riding for the American team “royal – orange” the English clothing and bike brands. At this time Diana was racing dual slalom events as well as downhill. Dual slalom soon turned into four-cross events and Diana accomplished her highest score on the UCI world ranking during the year as four-cross number 1 in the world. Two world cup podiums and many top 10 results are her career highlights. Her longstanding alliance with the Argentinian brand “Zenith bicycles” started in 2003, turning her into a professional cyclist. Diana had a long and hard time to recover and come back into racing after suffering from a knee injury in 2010. She came back in 2012. By then she summed 13 continental gold medals along her career, this allowed her to get a scholarship from Ecuador in 2014, entering the high level athletes program from the Ecuadorian sports council. 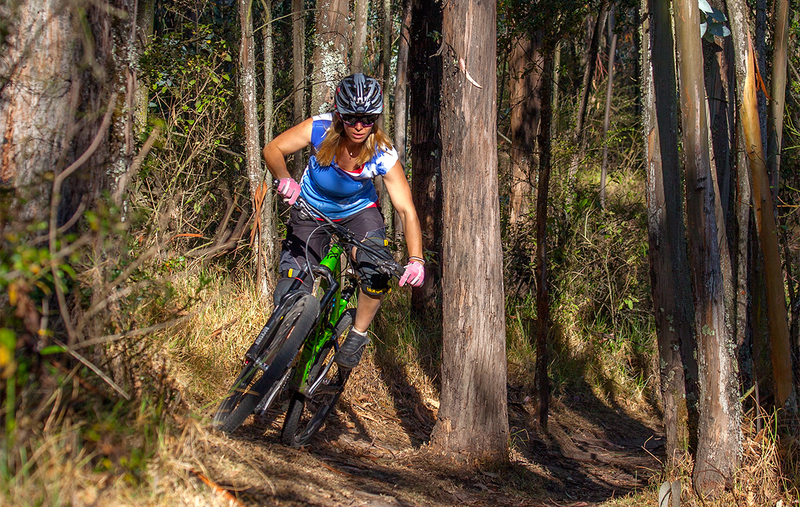 Diana is now entering the new modality of enduro bike racing. She is currently living in Ecuador in the winter time and in Germany for the summer season. 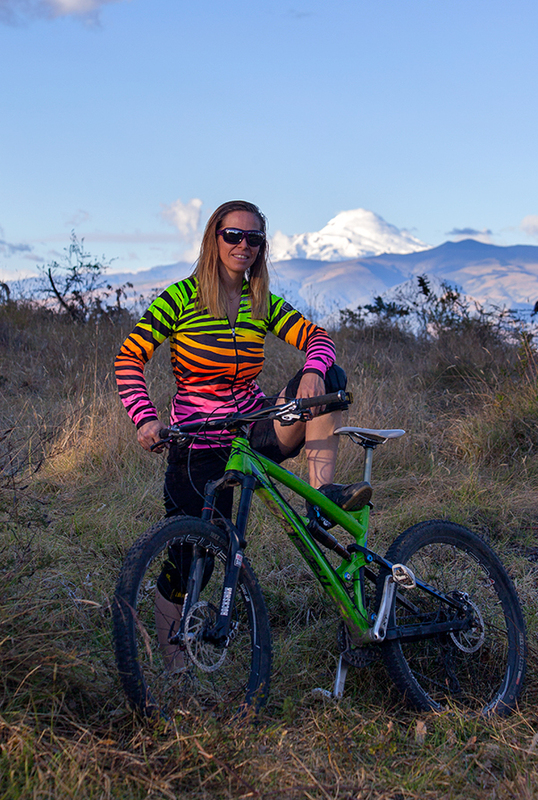 I want to accomplish being on the top podium places at downhill world cup and enduro mountainbike events. Also getting a World Championship medal in the Elite Category is one of my dreams as well as going to Olympic Games. There are always some sorts of difficulties on high level sports performance. The biggest difficulties I’ve had, have been injuries. I think this is the hardest for athletes to overcome, but it is a great part of what makes us who we are and what we love. Personally I had a bad knee injury back in 2010 in the World Championships in Australia. I broke my knee cap and damaged my cartilage. The next few years were a hard come back including more knee surgeries. Patience, was a big issue to learn and live with for the coming years. Also, I’m from Ecuador, South America and the scene for professional sports is rather small and unknown. In order to gain experience, confidence and level I had to cross the big lake every season and spend a lot of time far from home, which was neither always comfortable nor inexpensive. Everything! From the moment I get ready for riding my bike –feeling the grip of the dirt, stones and roots under the tires, the nerves of standing in front of the start gate waiting for the clock to tick– to the end of the day, when the bike is neat and clean again. It depends on where in the world I am, but mostly in the nearest trails. It can be a single trail, a DH local track, a pump track, BMX track or even a simple forest road, as long it happens on my bike. I enjoy taking care of my mental comfort to stay calm and focused. Pushing too hard or saving too much. The key is to get to know yourself to reach the fine line just before the threshold of overspeeding and overshooting your limit. I think both my parents. My dad (1946-2007) introduced me to racing, supported, managed and loved to see me race. He was my biggest fan. Now my mom is my biggest supporter and fan. Unconditional love! This is something that Leigh Donovan (female U.S. rider, friend and world champion) tought me and has always been very helpful. Stay involved in the sport for sure! Help develop and promote our sport for women, men, young, and old alike. Be confident, just try it out and ride with passion.